Platy. Three kilometres south of Myrina the village of Platy is located. 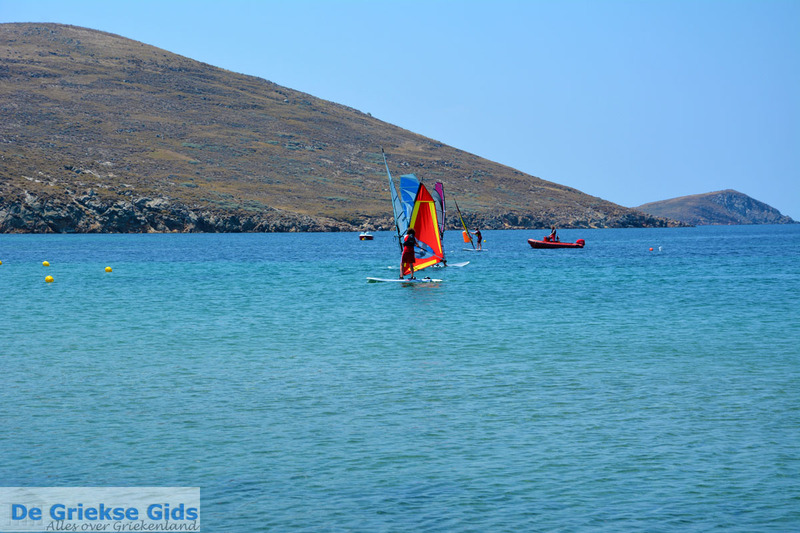 Platy is built on the slopes of two hills, near the eponymous bay. 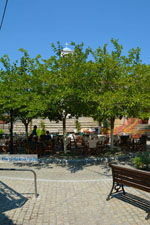 In the village about 600 inhabitants live. From the village you have a beautiful view of the bay, the sunsets from here are magnificent. 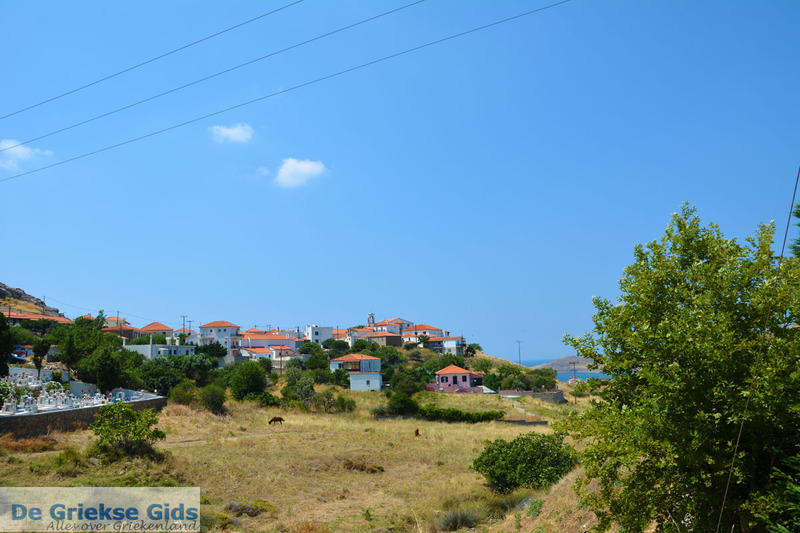 In the village is the church of Agios Georgios which was built in 1857. In the village are very narrow streets, it is difficult to drive through the village. 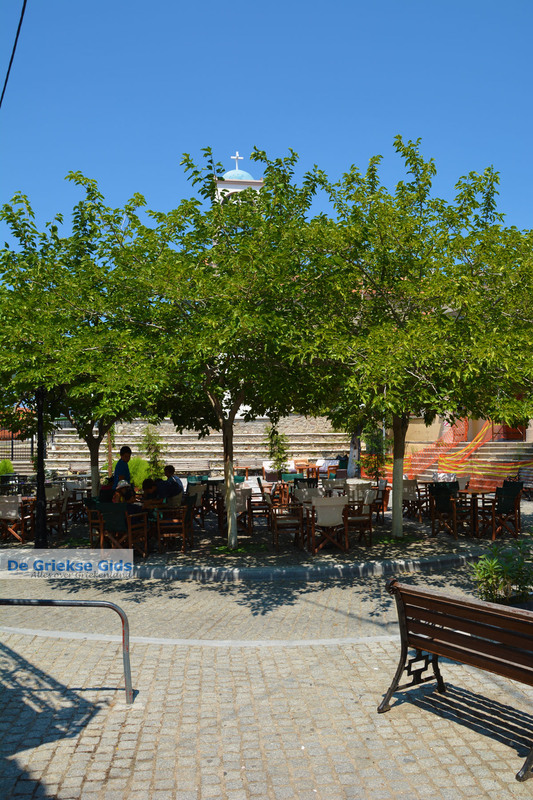 Next to the church of Agios Georgios is the cute town square where a few nice tavernas and cafes are. You can park your car here just behind the church. 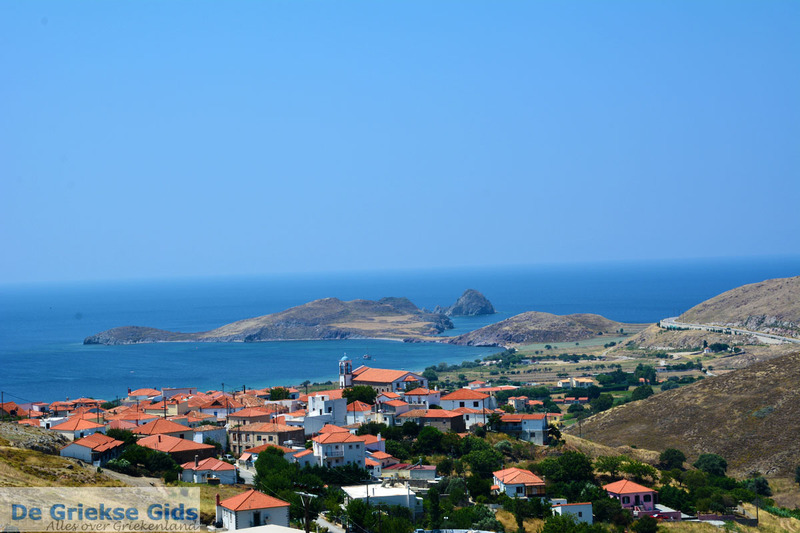 Platy is one of the oldest villages of Lemnos, it would have been founded in the 14th century. 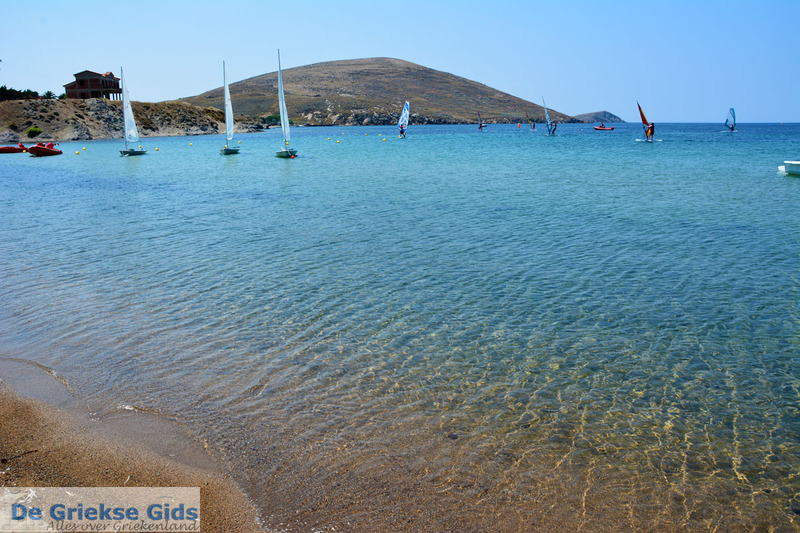 The large bay of Platy, which lies between the Capes Tigani and Diavatis, served in the Middle Ages as a safe haven for boats. 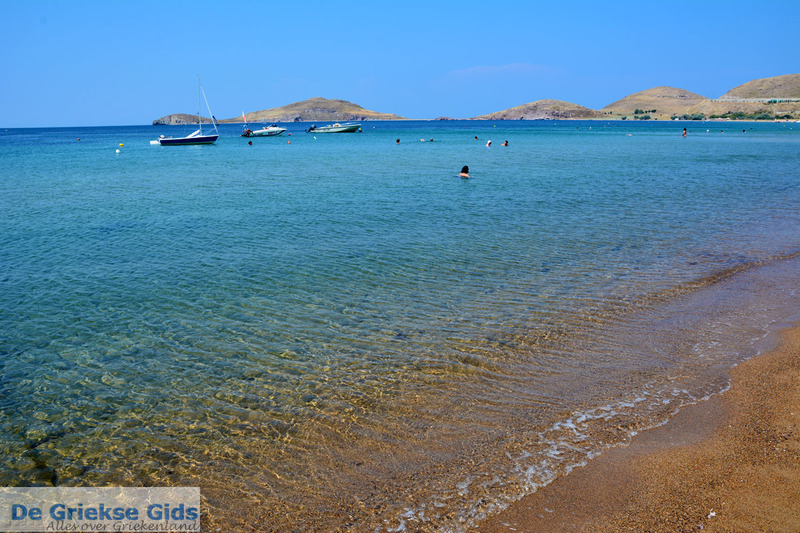 In the bay, two kilometres west of Platy, is the beautiful long beach of Platy. 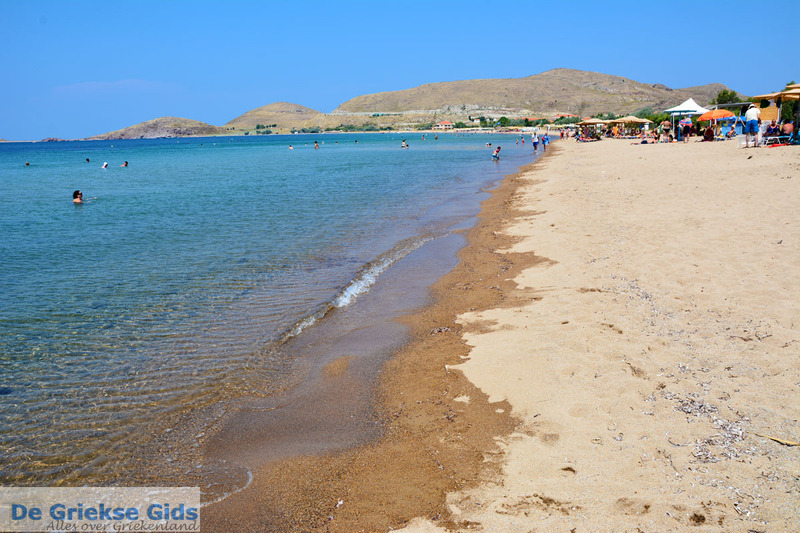 It is a smashing sandy beach where restaurants and beach bars are located. 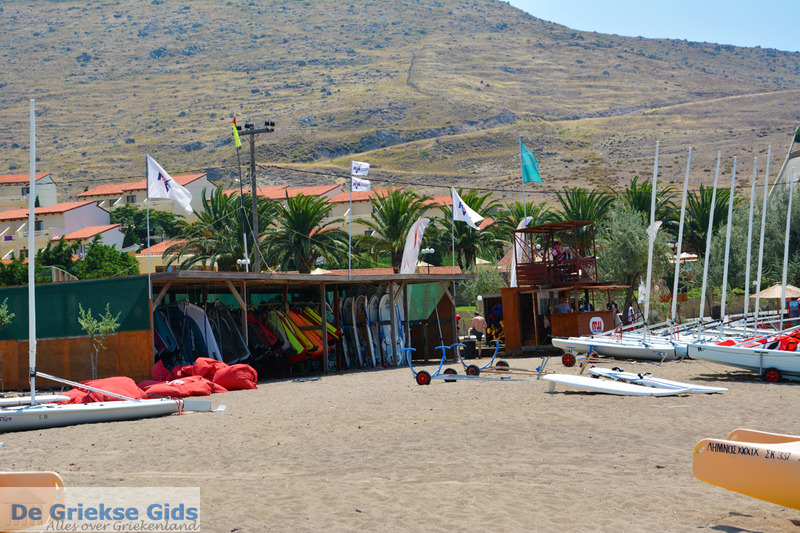 At the beach you can hire sunbeds and umbrellas, and you can also practice all kinds of water sports here. 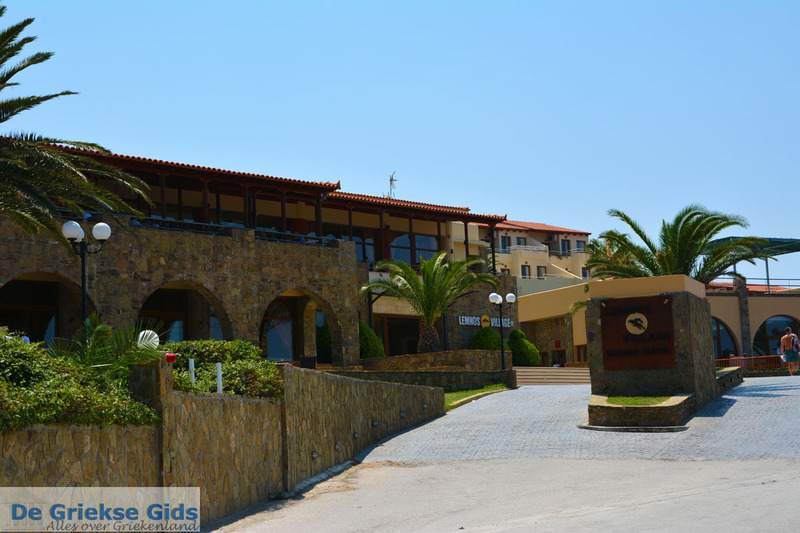 Behind the beach and on the slopes of the hills of the beach are several hotels. 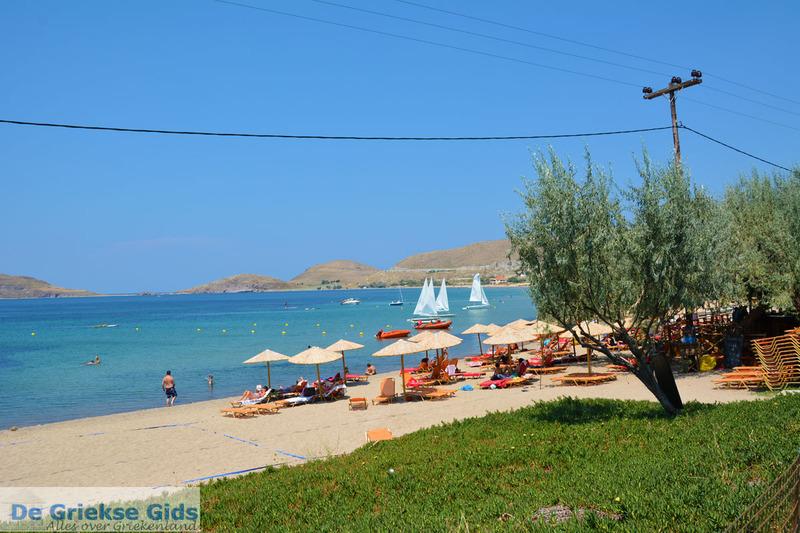 On the left side of the beach the popular resort ‘Lemnos Village’ is located. 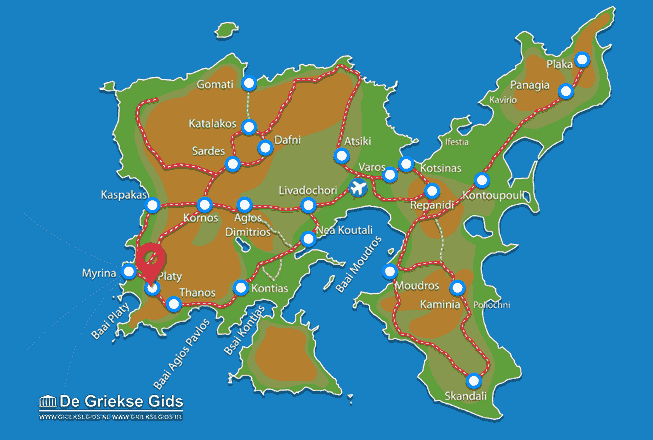 Lemnos: Where on the map is Platy located?